Zona Fresca benefits from an industry that has strong long-term prospects. We employ terrific people, operate outstanding restaurant facilities, follow a clear strategy and enjoy excellent financial strength. But we know we cannot be successful without an unmistakable sense of who we are. That's why we operate according to the Core Values that we have forged over the course of our company's history. As we continue the journey to become the best fast casual dining company, we will be guided by these values and use them to keep us on track when we are faced with unexpected opportunities or challenges. Integrity and fairness. It all starts with integrity. We trust in the integrity and fairness of each other to always do the right thing, to be open, honest and forthright with ourselves and others, to demonstrate courage, to solve without blame and to follow through on all our commitments. Respect and care. We reach out with respect and care. We have a genuine interest in the wellbeing of others. We know the importance of listening, the power of understanding and the immeasurable value of support. Diversity. Even though we have a common vision, we embrace and celebrate our individual differences. We are strengthened by a diversity of cultures, perspectives, attitudes and ideas. We honor each other's heritage and uniqueness. Always learning - always teaching. Circumstances change, and leaders must also innovate and change when necessary. We learn from others as they learn from us. Being "of service." Being of service is our pleasure. We make people feel special and appreciated by giving all of ourselves, doing more than expected, anticipating needs and making a difference. Teamwork. By trusting one another, we bring together the best in all of us and go beyond the boundaries of ordinary success. Tradition. From organizational values we develop organizational norms, guidelines or expectations that prescribe appropriate kinds of behavior. We are proud of it; we learn from it; we are not bound by it. Excellence. We have a passion to set and to pursue - with innovation, courage and humility - even higher standards. 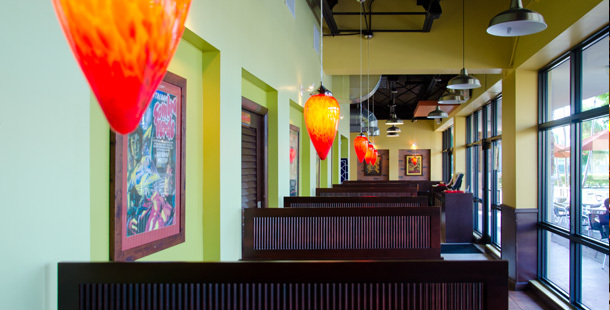 What makes Zona Fresca different from the other fast casual restaurants? We bring fresh, fast, great tasting food to South Florida... and soon beyond South Florida. 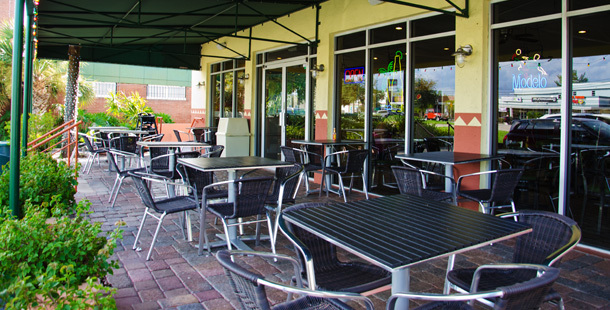 We merge white table cloth service and food with a great fast casual environment. Our tag line, "Not your everyday Mexican food... Mexican food you can eat every day," transcends into our repeat customer patronage and long-term relationships. The feeling you get when you walk into Zona Fresca is one that's clean, efficient, comfortable and fun. We have created a menu based on the bold, simple flavors of Mexico and lightened it up to give it a healthy twist. Since our food is made fresh every day and cooked to order using all natural ingredients, our concept will remain viable for years to come.